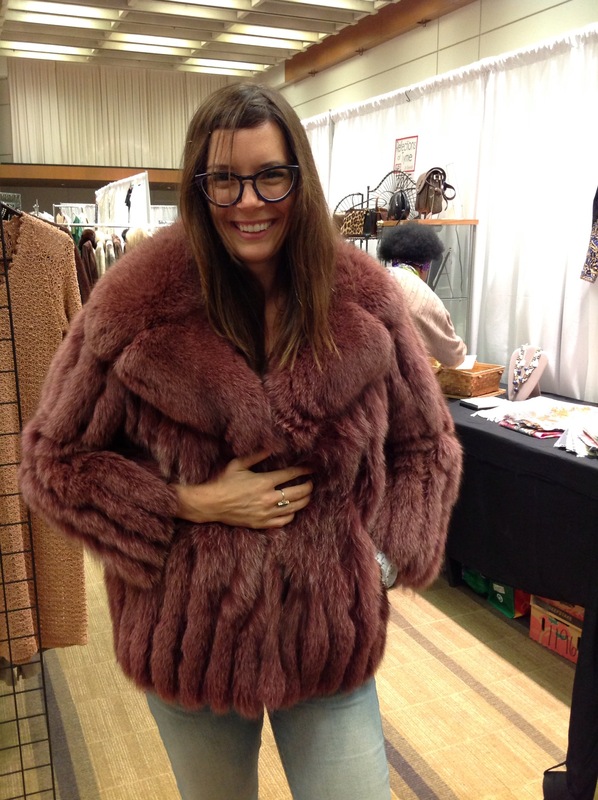 It’s my favourite day of the season: the Toronto Vintage Clothing Show is back! Sign up today for your ticket and receive a $2.00 discount (tix are only $10 at the door so no biggie if you miss this deadline). The show is back at the Toronto Convention Centre. Be there on Sunday March 23, between 10am and 5pm and you will not regret it. Not only is it about super finds but also super folks who have great stories to share about the provenance of their treasures. Last time the show rolled into town I had wayyyy too much fun, not to mention how famously I scored. Read my blog post about my last time at the show. This is a good sneak peek at all that’s furry, feathery,. shiny, embroidered, laméd, sequined and satiné at the show. I recommend checking out the group page on Facebook for updates about the show. See you there!